In rural communities throughout the United States, immigration has been a demographic lifeline that offsets—at least in part—the dwindling number of native-born Americans. In fact, as a report from the Center for American Progress (CAP) explains, there are many rural areas in which schools, hospitals, and businesses would have shut their doors if not for an influx of immigrants. 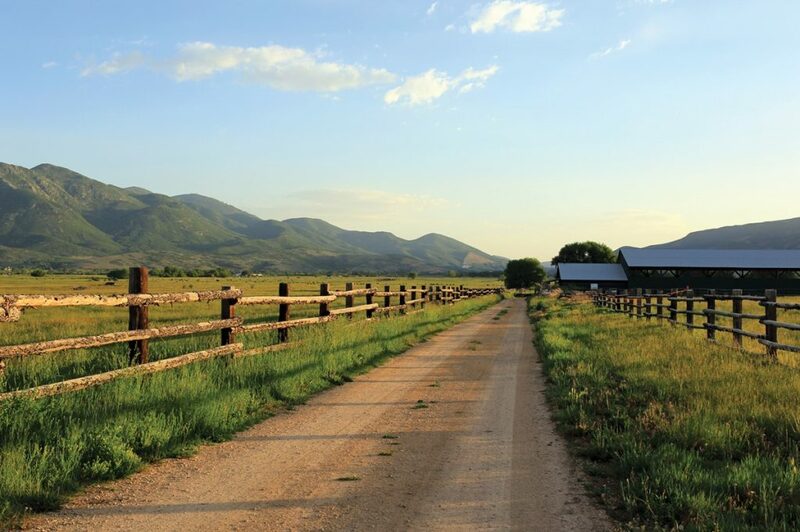 CAP analyzes 2,767 “rural places”—characterized as such by the U.S. Department of Agriculture (USDA). Of all the rural places that fit this definition and are the focus of the CAP report, 68 percent (or 1,894) have experienced a shrinking population since 1990 due to a declining number of native-born residents. Of these 1,894 locales, more than three-quarters (78 percent) would have experienced an even greater population decline if not for immigration. Places that are experiencing declines in population size eventually find that they are no longer able to sustain the same level of essential services that they could when the population was larger. As CAP explains, the result can be school consolidations or school closures; hospital closures and reductions in healthcare services more broadly; and closures of various small businesses and public institutions such as grocery stores, gas stations, and libraries. This downward spiral can be avoided if immigration offsets the shrinking native-born population. Citing the USDA, the CAP report notes that while immigrants are adding to the populations of rural areas in general, the number of native-born residents has declined due to falling birth rates (a trend also observed in the United States as a whole), the desire among many young adults in rural areas to move to larger cities with more opportunities, and a sharp increase in mortality rates among working-age adults (due in large part to the opioid crisis). Plus, as the USDA also observes, more than 500 rural counties nationwide have been absorbed by expanding urban areas since 1974. As the CAP report highlights, the contributions of immigrants to rural areas as a whole go far beyond simply increasing population size. There is no shortage of rural communities in which immigrants provide much-needed labor on farms, open new small businesses, and serve as healthcare providers in medically underserved areas. While it is true that some communities fight against these demographic trends, there are others that treat immigration as a vital economic resource to be managed—not feared. For instance, the CAP report singles out one rural place in particular—St. James, Minnesota—as an example of a community that actively seeks to integrate immigrants into its economic and social fabric. When Latino immigrants began arriving in St. James in the 1970s and 1980s to work at the Tony Downs Foods Company, political and business interests crafted a welcoming strategy so that immigrant workers and their families would feel at home. Among other initiatives, these leaders tried to make services more accessible to the newcomers through English as a Second Language (ESL) programs in schools and translation of important documents into Spanish. Unfortunately, some rural locales have not followed in the footsteps of St. James in treating immigration as a resource. CAP observes that one of the more notorious cases is that of Hazelton, Pennsylvania, where a local ordinance passed in 2006 fined landlords $1,000 per day for renting to undocumented immigrants and a five-year business license suspension for any employer hiring an undocumented worker. The ordinance was eventually struck down by a federal judge and the local government was ordered to pay more than a million dollars in legal fees. In hindsight, even some fervently anti-immigrant residents of Hazleton have reconsidered their positions. Mayor Joseph Yanuzzi, a supporter of the ordinance, came to realize that immigrants were revitalizing the small business community, filling what would otherwise be vacant apartments, and keeping school enrollments higher than they otherwise would have been. The CAP report emphasizes that many rural communities can and do devise smart strategies for integrating newcomers into the fabric of their economy and civic life. This speaks not only to the humanity of the native-born population in these locales, but to the economic (and demographic) importance of immigrants themselves.